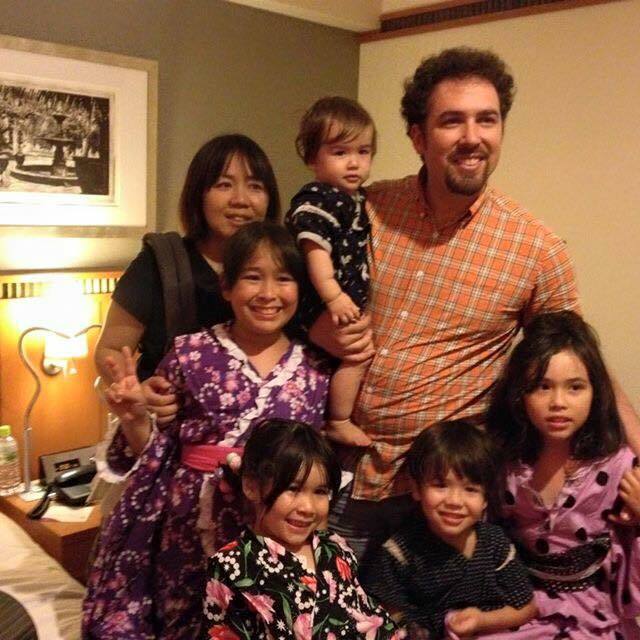 All of my five children and my wife Yumi. There has been a lot going on recently as far as developments in ministry. GBC radio only started in mid June and overseeing developments of programming and working together with the other members of the team. For the most part I have been doing interview podcasts and uploading as Holy Fire Japan, but in mid September I started a Saturday morning podcast in Japanese called In HIM. Sometimes I appear with my wife and we share what the Spirit has been showing along with Bible verses etc. The LORD has led us and we are excited as people listen and are encouraged and blessed. Remember there isn`t mainstream Christian radio-podcasts in Japan and only about 1% of the population is Christian. So we are at the beginning of something that GOD wants to do.